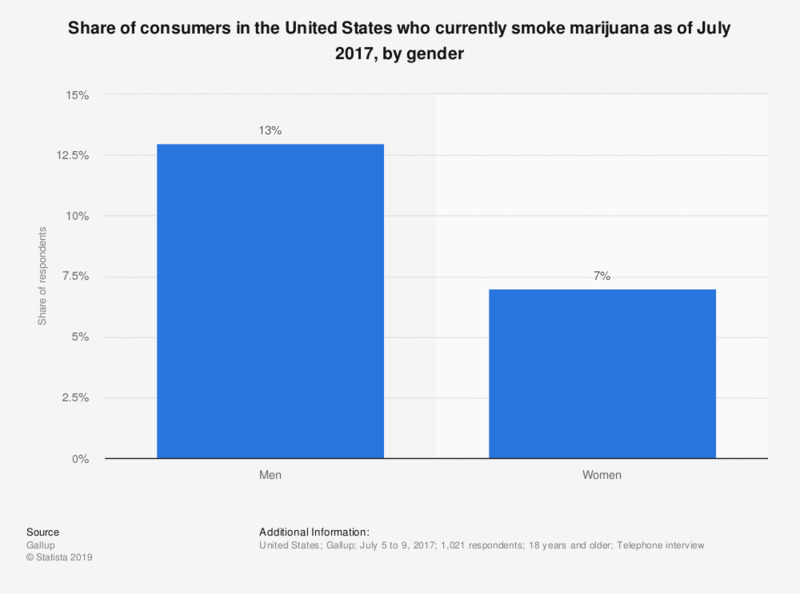 This statistic shows the share of consumers in the United States that currently smoke marijuana as of July 2017, by gender. During the survey, 13 percent of male respondents said that they smoke marijuana. The source adds the following information: "Based on aggregated data from July 10 to 14, 2013; July 8 to 12, 2015; July 13 to 17, 2016; and July 5 to 9, 2017."